We are psychologists with 20 years experience in changing people’s behaviour to help the environment. Our principals are full members of the Australian Psychological Society (APS) and strictly bound by their Code of Conduct. Community Change is a recipient of an Australian Evaluation Society Excellence in Evaluation Award for our work in behavioural measurement. Rob is a community psychologist whose environmental research work examines the links between what people say they do and what they actually do. He acts as manager for all our projects and runs our specialist training programs. 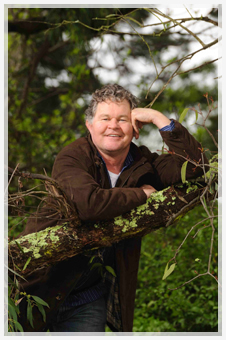 Rob is a world leading authority on human behaviour in the waste minimisation field and was previously a senior lecturer in community and organisational psychology at Monash University where he was Head of the School of Arts and Sciences. Rob is a member of the College of Community Psychologists of the Australian Psychological Society the APS Psychology and the Environment Interest Group, and previously the Australian Evaluation Society. 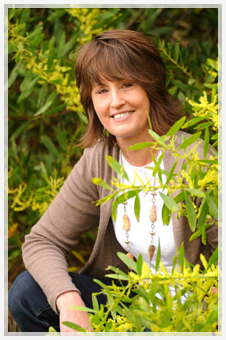 Karen is a psychologist with a focus on developing programs and tools to change behaviour. She develops all our conceptual frameworks and training materials, tailoring them to meet the needs of water, waste and energy programs. Karen was previously a clinical psychologist in community health, working extensively with individuals, couples, families and groups and was co-founder and director of the Australian Centre for Grief & Bereavement at Monash Medical Centre in Melbourne. Karen is a member of the Australian Psychological Society Climate Change and Environmental Threats Reference Group and the APS Psychology and the Environment Interest Group. In both our work and personal lives we encourage others to do the right thing environmentally and have implemented a fully integrated commitment to living sustainably in our workplace. In 2005 we purchased an electric hybrid (although preferring to use public transport), implemented energy audit recommendations, installed solar hot water and solar electric panels (generating enough to the grid to almost cover annual usage), developed responsible purchasing practices (using recycled paper, reusing printer cartridges, and purchasing certified environmentally-sound products), continued to minimise waste, compost, retrofit water saving devices and capture stormwater for reuse in toilets, and the organic fruit, vegetable and native garden.